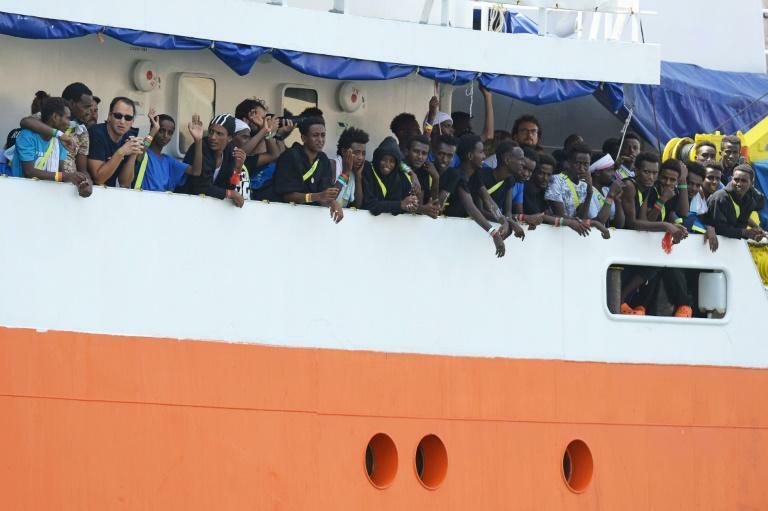 Italy has asked Malta to accept some 170 rescued migrants, Interior Minister Matteo Salvini said Thursday, the day after another 141 docked on the island after a landmark agreement with its EU partners. Salvini said the migrants were first sighted in waters where Malta had responsibility for search and rescue missions but a Maltese vessel, after approaching them, "offered no assistance." Instead, "the Maltese escorted the migrant boat towards Italian (search and rescue) waters and an Italian coast guard vessel picked up the migrants without first informing the interior ministry and while they were still in Maltese waters," he said. The far-right Salvini who has promised to end unrestricted migrant arrivals in Italy, said he had "asked the Italian vessel to contact the Maltese authorities ... to make available a port where they could land." "After having accepted some 700,000 migrants in the past few years, I think Italy has more than done its duty -- and that of others," he added. Hundreds of thousands of migrants from across Africa and the Middle East have made their way to Europe, most crossing the Mediterranean in rickety boats operated by unscrupulous people smugglers. Italy and Greece have been on the frontline of the influx, pressing their European Union peers to do more to cope with the problem, especially by taking in some of the migrants for processing. On Wednesday, the French NGO rescue ship Aquarius docked in Malta with 141 migrants on board after France, Germany, Luxembourg, Portugal, Spain and Italy offered to take in some of them and another 114 who landed on Monday. Malta and Italy both initially refused to let the Aquarius dock.